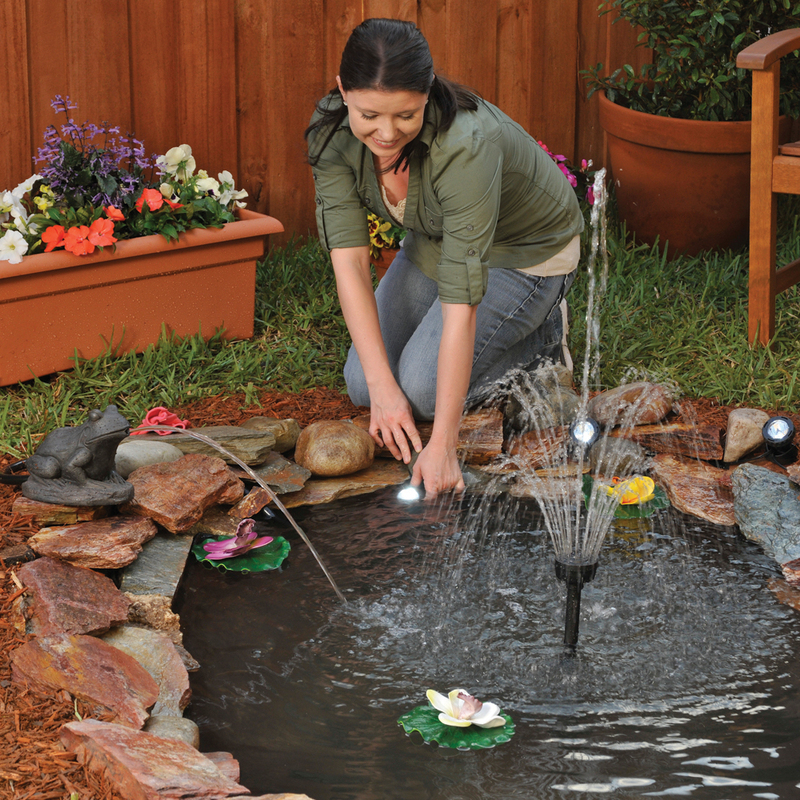 Show off your pond or yard at night with the TotalPond's Pond and Landscape LED Lights with built-in automatic dusk to dawn sensors and weighted bases. Available at The Home Depot. Show off your pond or yard at night with the TotalPond's Pond and Landscape LED Lights with built-in automatic dusk to dawn sensors and weighted bases. These energy efficient LED lights come with four easily changeable color lenses. The Pond and Landscape LED Lights can be used in and out of the water to illuminate water features and landscapes. These 3W, waterproof lights can be used in and out of the water. Periodically, your lights may require cleaning with warm water and biodegradable soap for optimal performance. Cord length from transformer to first light: 10 ft.
Cord length between lights: 4 ft.
Dimensions per light: 2.25 x 2.25 x 3 in.